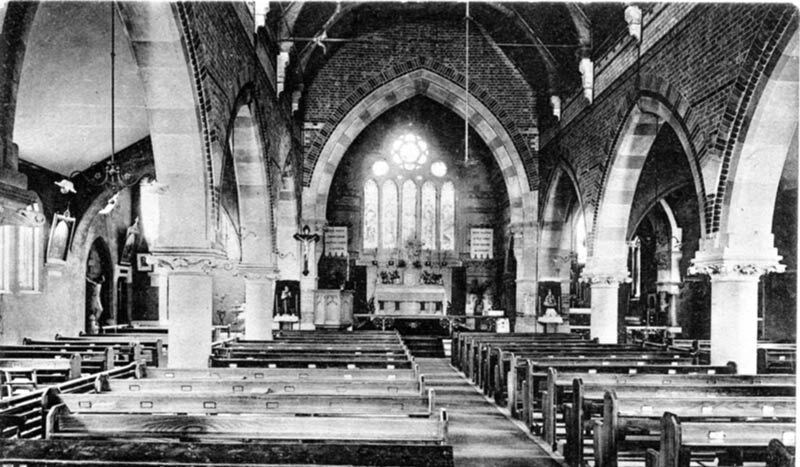 The church was designed by the architect W J Goodman and was built at a cost of £1,700. 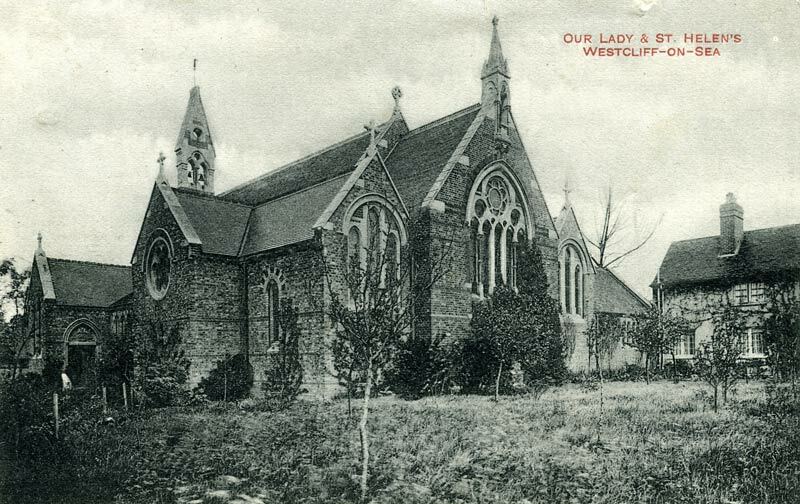 The parish priest at the time Father John Moore, who had arrived in Southend in 1862 aged 56 and who continued to serve for 28 years, worked to raise funds though the bulk of the money came from donations by the Countess Helen Tasker of Brentwood. 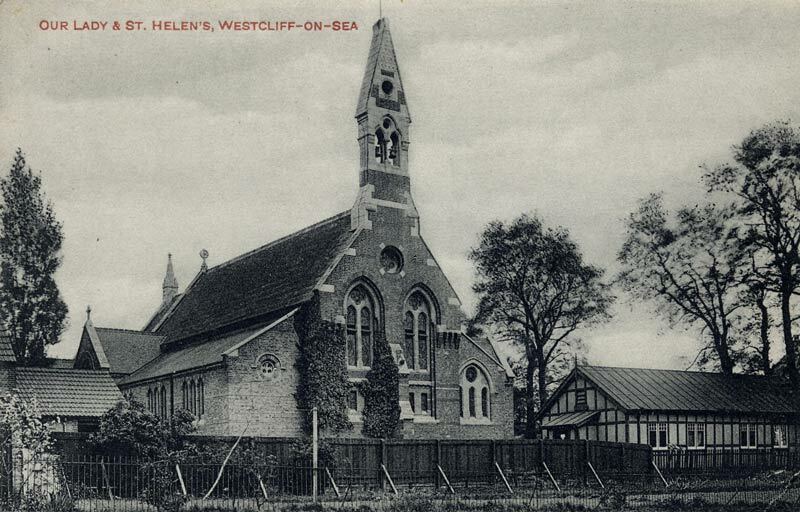 The Archbishop of Westminster opened the church in October 1869. Before this date Mass was held in rooms in Fr. Moore's house in Capel Terrace. These pictures date from the early years of the 20th Century. St. Helen was born, so far as can be ascertained, at Drepanum in Bithynia, possibly an innkeeper's daughter. Somewhere around 270, the Roman general Constantius Chlorus met her and, in spite of her humble birth, married her. When Constantius was made Caesar, he was persuaded to divorce her and marry Theodora, the step-daughter of the Emperor Maximillian. Some years earlier Helen had given birth to a son, Constantine, who had a deep regard and affection for his mother. Constantine became the first Christian Emperor. He declared Christianity a legal religion, ending the persecutions in the Roman Empire. In about 312, St. Helen became a Christian. She made use of the treasures of the empire by giving money to the poor, cared for the indigent and distressed and built numerous churches. After the victory in Licinius in 324, Constantine became master of the East. At this time St. Helen went to Palestine to venerate the places made sacred by the bodily presence of our Lord. After Golgotha and the holy sepulchre had been laid bare by the removal of the terrace and temple of Venus with which the Emperor Hadrian had over-built them, Constantine wrote to St. Marcarius, Bishop of Jerusalem, ordering a church to be built. St. Helen took the task on herself to see this work executed, desiring at the same time to discover the sacred cross on which our Redeemer died. The finding of three crosses in a rock-cistern just to the east of Calvary is celebrated on May 3. 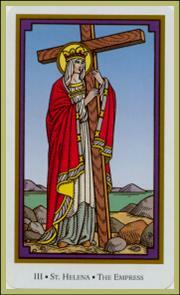 The story of her finding the cross is the subject of Cynewulf's finest poem, Elene. Cynewulf is one of only four Anglo-Saxon poets from the 9th century whose work is known today. Whether or not she actually took an active part in the finding of the cross, it is beyond dispute that Helen's last days were spent in Palestine. Eusebius reports that she built two basilicas, one on the Mount of Olives and one at Bethlehem. Coins that bore her name, Flavia Julia Helena, were minted in 330, presumably the year of her death. This occurred apparently somewhere in the East, and her body was taken to Rome for burial. The feast of St. Helen is celebrated annually on August 18th.